It is symbolized by Ⓥ and colloquially shortened to polet, is a government-owned alcoholic beverage retailer and the only company allowed to sell beverages containing an alcohol content higher than 4.75% in Norway. Therefore this page gives a brief information about the system of Vinmonopolet which is important for understanding of the market structure. It is a government monopoly on the manufacturing and retailing of some or all alcoholic beverages such as beer, wine and spirit. An alternative for total prohibition can be monopoly. Vinmonopolet is the only institution that has the authority to sell alcohol (above 4,75 % alc. Vol.) to end consumers. Restaurants with appropriate licenses can purchase alcohol from authorized importers and are allowed to sell under their premises. It is owned by the government (since 1939). In order to purchase and consume alcohol with an alcohol strength of 22 % alc. Vol. or lower, the age limit should be a minimum of 18 years. Apparently, in order to purchase and consume an alcohol beverage with an alcohol strength of above 22% alc. Vol, the age limit should be a minimum of 20 years. A good regional spread ensures the best possible accessibility in all parts of the country. That is the target for network of these retail outlets. This network consists of more than 300 shops. A larger number of outlets will make access to Vinmonopolet’s products more equal around the country, and provide better service in the form of shorter queues in cities and towns. 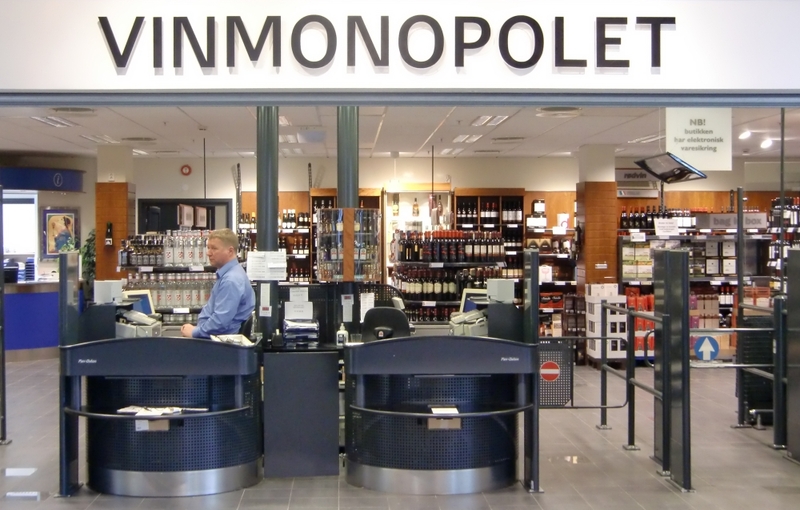 Vinmonopolet only sells wines in its self owned stores. The organization does not use any agent stores. Vinmonopolet offers a unique range of roughly 17.000 different products today. Significantly the procurement is determined solely on the basis of price, quality and customer demand. They always operates neutral in the sense that no partiality is shown between brands, producers, countries or suppliers. The opening hours on Monday to Wednesday- 10:00 and 17:00, on Thursday and Friday between 10:00 and 18:00 and on Saturday between 10:00 and 15:00 and is closed on Sunday. Strong alcoholic beverages which have an alcohol content above 22 % can be served from 13:00 to 24:00. Alcohol with a lower alcohol degree can be served between 08:00 and 01:00. Local authorities can extend these hours, however it should be a local decision. For example, in the year 2009 per capita consumption was 6,68 liters of pure alcohol (100%). Since the year 1990 onwards, the domestic alcohol policy has been changing over time similar to the other nordic countries which are being regulated by a monopoly. It is still a cornerstone in the domestic alcohol policy. Alcohol should have high prices as well as the distribution and availability of alcohol should be limited. The aim of the domestic alcohol policy has always been to keep the alcohol consumption on acceptable low levels per person. Norway achieves this goal by putting high taxes, limited availability as well as a non-profit distribution model. Today, Norway has the lowest alcohol consumption compared to the other Nordic countries. It has been a down turning for alcoholic beverages with a higher alcohol degree. While the wine segment has observed an increase. If we see the outcome of alcohol consumption, nearly approx. 400 people die each year of this about 80% are men. The governmental institution in charge of the domestic alcohol policy – Helse og omsorgs departementet. » To know more how the Tender process works, click here.